Holy crap. It’s almost December. 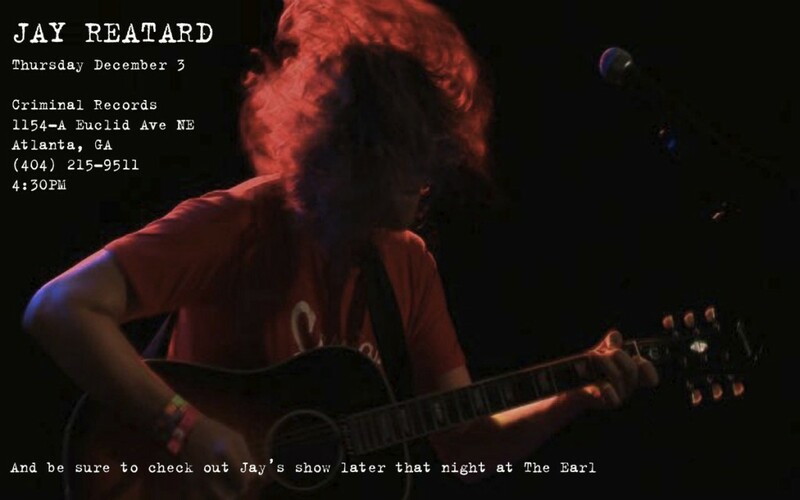 Anyway, next Thursday December 3rd Jay Reatard and his brand-spankin-new band will stop in Criminal Records in Atlanta for a very awesome, very free, very all-ages instore… come kick it.